I love it when I’m driving through small towns and something catches my eye. Growing up in a town of 700 people, I always get curious, where do the locals eat. In my village, we had a family restaurant near the highway, a gas station that served pizza, and a Dairy Queen until I was about 16 (now there’s a Subway). My co-worker and I were driving through rural Van Buren County last week on our way to a job site. The route took us through Covert Township which has an area along M-140 that could be mistaken for a small village. There are a couple of gas stations and a few restaurants in this small civil township just south of South Haven. We had a job to finish first but once that was done, we headed back into Covert to the black and white pinstriped building. It was just a little after noon and the place had just opened. We walked into the counter-service restaurant not really knowing what we were going to find. 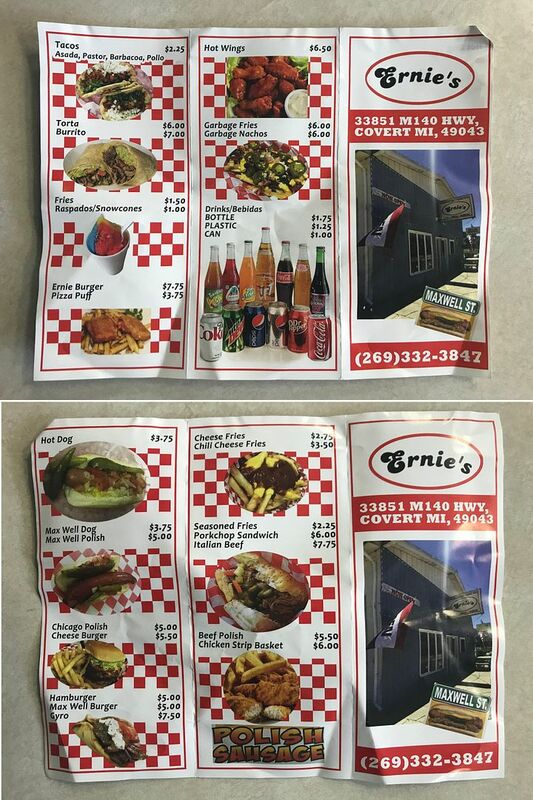 I grabbed a couple of the paper menus off the order counter and looked over the small, visual menu that included some of my favorite things. 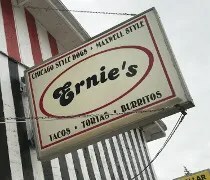 Ernie’s is kind of a cross between a Chicago sandwich shop and a Mexican restaurant. There were a couple of firefighters waiting for food that couldn’t believe we weren’t ordering tacos on Taco Tuesday. Normally, I’d jump at tacos but I also saw an Italian beef on the menu so, duh…that’s what I ordered. The sandwich and fries, along with a can of Coke, cost a little over eight dollars. 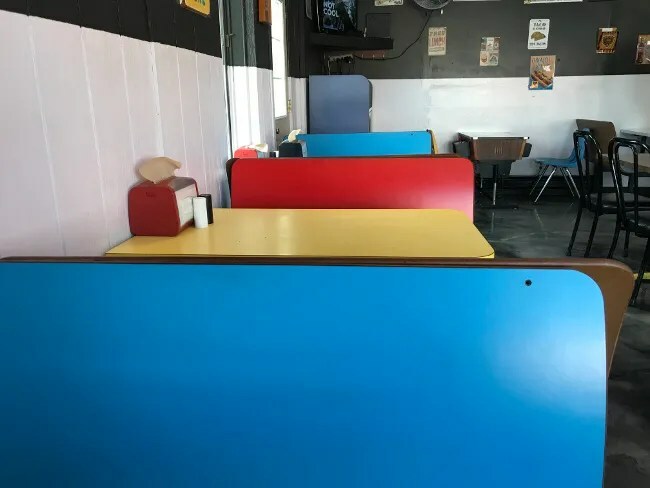 I paid with my credit card then took a seat at one of the hard, colorful booths that look like they’ve been in use since the 1980’s. There are also a couple of tables with chairs in the middle of the space, but the booths have a nostalgia feeling that drew me towards them. It took about ten minutes for our food to be brought out in red plastic baskets. The sandwich was about what I expected. 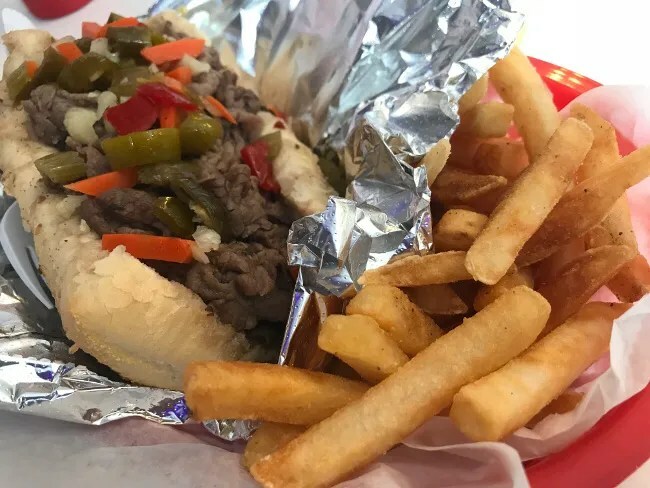 It looks like an authentic Chicago Italian beef and for the most part tastes like one. It is clear it’s assembled from the kits that are so popular outside of the city. The meat is pre-cooked and sliced then warmed back up in the gravy before it is served. There was a good amount of the hot peppers on the sandwich that gave it just a little bit of a kick but didn’t overpowering the herby flavor that had soaked in to the bun. The fries are pretty standard. They’re helped by a little salt and, if you like it, ketchup. They’re the kind of fries that go great with this kind of sandwich. 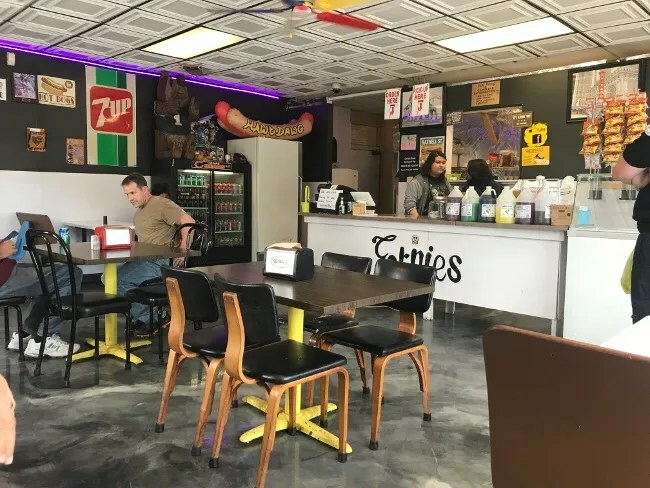 Ernie’s is pretty much what I expected it to be. 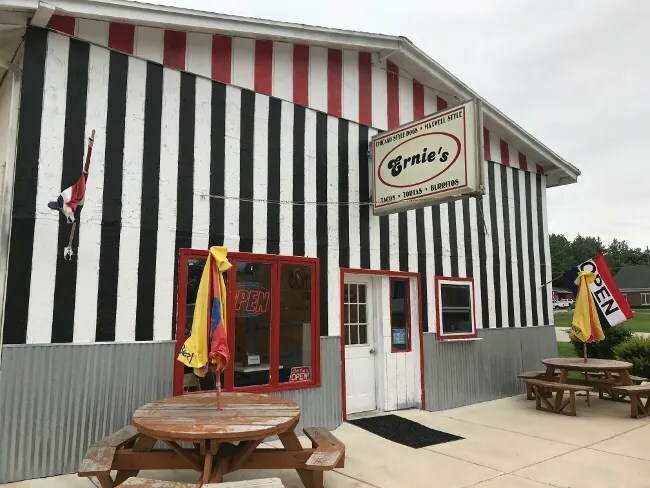 It’s a solid sandwich shop along a busy stretch of road in Western Van Buren County. The owner was super nice and there was a steady stream of firefighters, construction workers, and farmers coming in to pick up lunch. You’re not going to get a sandwich like you would in the city but it’s going to be close enough that you’re going to be happy with it. It’s a place I would eat at often if I lived in the area…a place that will satisfy a craving.